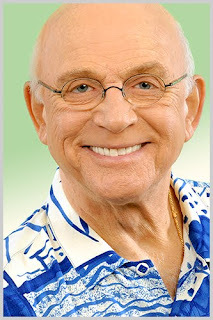 Gavin MacLeod is a true television legend. Obviously, he's had a long and successful career in the medium of television, but before his road to enduring icon status he enjoyed a career in both theater and film. I am honored that Mr. MacLeod has agreed to be interviewed by "The Flaming Nose." We here at "The Flaming Nose" have all enjoyed careers in television and it is a privilege to share this interview with our readers. J: Gavin, thanks for taking the time to be interviewed here at The Flaming Nose. You and I discussed some time ago my own deep interest in Native American history and culture. You’re the son of a Chippewa descendant. As an actor, did you ever have an opportunity to play a Native American? G: Check out my beautiful baby blues! Unfortunately, I never had an opportunity to play a Native American. That would have been intriguing casting! J: Yes, I get the baby blues, but I thought with contacts and all… What was the driving decision that led you into acting? G: My first play was when I was 4 years old. That was the start which became my passion, not the applause, but the acting. I won several awards in high school and then I received a drama scholarship to Ithaca College. I got a Bachelor of Fine Arts, an Honorary Doctorate of fine arts and a Lifetime Achievement Award ~ all from Ithaca. J: Your first big break came in the Broadway show of “A Hatful of Rain.” After your first night on Broadway did you experience fear in thinking this might be it or were you energized and confident? G: My first night on Broadway was a momentous time in my life - a goal realized! I was very confident and humbled to be included on stage with some of the best actors in the business. J: You carved out a serious reputation for playing the “heavy” prior to making your mark in episodic television. How did that come about and how did you get out of it? Actors always say it’s fun to play bad. I assume you would agree. G: I played "heavy" because I was a young man with a bald head, so what else could casting agents do with someone like that? I finally played leading men when I bought my first hairpiece. Eventually with age, I grew into my look without hair. Some of the "heavies" I played like the ones on The Untouchables, Big Chicken in Hawaii Five-O were delicious roles. They were great fun and I enjoyed every minute of those roles. J: “McHale’s Navy” then came along. A regular paycheck with a well known cast! Did you feel you were on the proverbial cloud nine? Any funny moments you can share? Tim Conway had to be good for plenty of laughs. Ernest Borgnine played light in the show, but he was known for serious drama – his great Oscar-winning performance in “Marty” and his robust bad guy from “From Here to Eternity” wouldn’t lead one to believe he would have comedy chops. G: Working with Ernie, Tim and Joe Flynn on McHale's Navy was a good two year gig with lots of laughs. I enjoyed the experience and they were terrific people and wonderful actors. 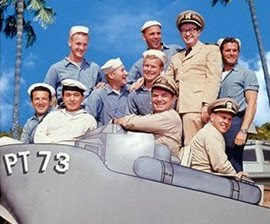 I left the show to go to China to shoot “The Sand Pebbles” with Steve McQueen. Steve and I had previously played brothers on the New York stage and working on this Oscar nominated film was a wonderful ten month job. I continue to pinch myself when I realize how many of the show business icons I have had the pleasure and honor to work with. It still amazes me. 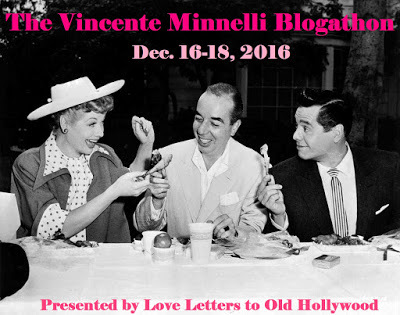 I've worked with Bob Hope, Barbara Stanywyck, Orson Welles, Gregory Peck, Cary Grant, Charles Bronson, Bing Crosby, Clint Eastwood. It's been an amazing ride! G: Kelly's Heroes was a terrific experience! Clint Eastwood, Telly Savalas and especially Donald Sutherland made this location and shoot an unforgettable career experience. Brian Hutton, our director, one of my all-time favorites had acted with me on the stage and in 1960 he directed Robert Blake and myself in a play about drugs called “The Connection.” Great memories. J: You had the opportunity to work with Ronald Reagan twenty years before he became President? Did you ever give that a thought at that time? I wonder if he ever gave that a thought at that time? What were your impressions of the President? Did you have an encounter with President Reagan once he entered office? Were you ever able to reminisce? 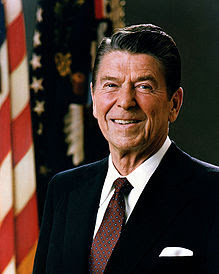 G: Ronald Reagan was the president of the Screen Actors Guild and the producer of General Electric Theatre in 1960. When I worked with the future President and Peggy Lee (who appeared in the same program), he was very charming and he took me to lunch on my first day of rehearsal and we had a good shoot. Years later, I spent an evening with Nancy and him at the Beverly Hills Hotel when we presented Nancy Kissinger with an award. My wife Patti and I were guests of his at the White House when he was President. We met the number one chef at the White House who had previously worked on cruise ships. He requested a meeting with Captain Stubing and gave us cookies to take home. Cookies from the White House, what a memory! During President Reagan's two terms, I even traveled the nation for Mrs. Reagan's "Hugs, not Drugs" program. J: Blake Edwards was one of the most gifted directors of the last 50 years. You worked with him. Tell me about that relationship. G: Blake Edwards was instrumental in getting my career cooking. From the first Ivy League heavy in the “Peter Gunn” pilot to the naive Yeomen in “Operation Petticoat,” and then on the films “High Time,” “The Party” and TV's “Mr. Lucky.” A fun and brilliant director to work with! J: Ok. You worked with my all-time favorite actor. Robert Redford! You worked with him on "War Hunt" and that was Redford’s first feature film. 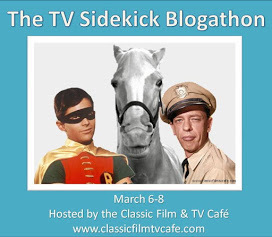 Any consequential or not so consequential moments with the Sundance Kid? Have you ever encountered him again on the pathway of life? 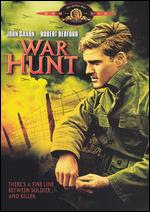 G: Yes, "War Hunt" was Robert Redford's first film. Redford and his first wife Lola, were a terrific couple. Redford, Tom Skeritt (they went on to work together years later when Redford directed Skeritt in "A River Runs Through It") and myself used to hang out together. One night at his rental home, Bob had six of us over for dinner and showed us a model of a ranch he wanted to build in Utah. Eventually, that model became Sundance. Redford, in addition to being a wonderful actor and director is one of the best story tellers around. He is a gifted wordsmith. Funny, bright and charming. He would visit my home and captivate my kids. Way back then in the 1960’s. Very pleasant memories of that time in my life. J: My all-time favorite show is “I Love Lucy.” The Flaming Nose title comes from the classic William Holden episode from “I Love Lucy.” My second all time favorite show is “The Mary Tyler Moore Show.” Mary Richards is the single most admirable female character in television history. Strong, smart, independent and elegant. I can only imagine how many women wanted to be MTM. Plus, she had a great sense of style. She rocked every item better than any woman in show biz history outside of Audrey Hepburn. It is an honor to interview the man who brought Mar's friend, Murray Slaughter to my television screen! How did you get the role of Murray Slaughter? 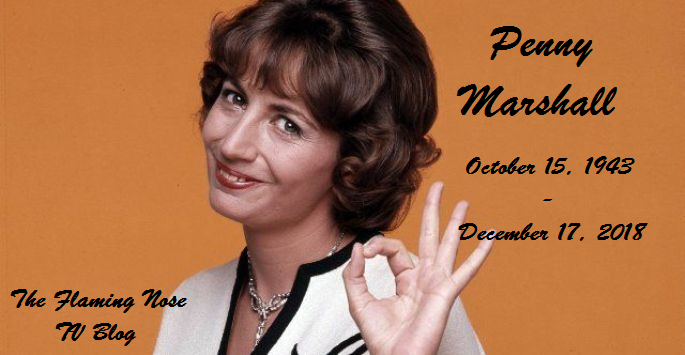 Have you remained close with Mary and the gang? Was there one relationship from the show that was stronger than the others? G: M-T-M was the greatest! I had just returned from the former Yugoslavia and shooting "Kelly's Heroes" when I received a call to read a pilot. They wanted to see me for Lou Grant and I read two scripts and felt I was better suited for Murray Slaughter. It is a long story but you know the result. Seven years of pride and being a part of this incredible TV experience. Mary will always be the greatest to me. Ted, Ed and I were very close friends. Georgia is very dear and is special to me. "Love is all around!" J: The Love Boat! Another big wow for your career! What an amazingly successful and iconic series. Seriously, did you have any idea what you were getting yourself into? G: Even though I was aware that two previous pilots didn't sell I still felt The Love Boat would be a hit and that's why I selected it over three other shows I was offered. I never quite anticipated the effect it would have on the world travel industry. Now the word cruising is in everyones vocabulary. I have been working for Princess Cruises since1986 as their spokesperson and at that time we had two mini ships and we now have 18 mega ships. Jack Jones has always been a friend. I just spoke to him and his new bride last week so he is living our theme song, "Love, exciting and new." One of my favorite moments was during the last show when I had the opportunity to marry my dear friend, Marion Ross. Mrs. C from “Happy Days” has now become Mrs. Captain Stubing. Yes, many people address me as "Captain" - some call me "Murray" - my kids call me "Pop". J: You have a new film out right now (it was released on September 18). 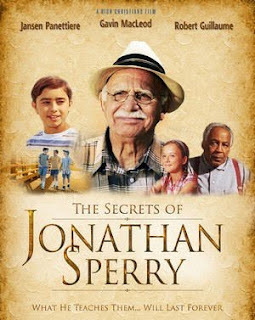 The film is called “The Secrets of Jonathan Sperry.” I saw the film. What motivates you at this point in your career to accept a role? What was it about Jonathan Sperry that pushed you to say yes. G: Jonathan Sperry is the most satisfying and important role I have ever had the privilege to play. To have the opportunity to speak God's word and see lives changed has been the highlight of my career. I am very proud to have taken part in bringing Jonathan Sperry to the general public and to have touched the lives of so many. Judith, my entire life has been a blessing - all my mistakes have been forgiven and I have become a new person in Christ. This is my life now. J: I’m really excited about a project you are involved with – Character Classics. The concept is needed. It’s all about teaching young kids (3-8) about character. Respect, Obedience, Kindness, Thankfulness, Truthfulness. What led you to this project? G: Character Classics is a product that is really needed, especially at this time in our world. We lack any sense of morality, respect and all of the rest of those traits that I find lacking in society today. Young children need to learn character! Obedience, respect, truthfulness, kindness and thankfulness are what they need to be taught. This content will change lives! That is why I wanted to be a participant in the Character Classics Project. I hope sales go through the roof, because it will bless everyone and enhance the chance to bring morality back into the daily lives of our children. J: Gavin, thank you so much for sharing a bit of your career with me. I enjoyed our chat and I will continue to enjoy your work for many years to come. Love is all around. Judith, what an absolutely phenomenal interview. Congratulations for bringing the first live interview to The Flaming Nose! 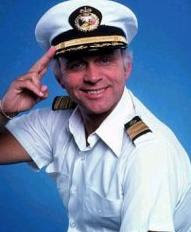 Just added a few pictures to this fantastic post and I am amazed again at what an incredible career Gavin MacLeod has had. Bravo to his artistry and Bravo to Judith again for bringing this insightful interview to The Flaming Nose! I enjoyed the interview! Gavin is a wonderful man. A great spirit! Funny and warm too. What a great trip down memory lane, Gavin, Mary, Ed and the gang were my saturday night baby sitters. My folks would go out for the evening and I would be very happy to welcome my tv family in for the night. Mary, followed by Bob then Carol...those were the days! Excellent questinons Judith, I felt like I was there. Thanks for sharing your own memories. Great television lives on. I appreciate your comments. How great is this?! Congratulations, Judith. What a fun read! What a lovely and informed interview, Judith! MacLeod is a true professional and obviously a wonderful man, and your talk with him brought out so many great memories for him and for us. What a thrill this is for us, and what a thrill is must have been for you! Thanks for honoring The Flaming Nose with this exclusive! EXCELLENT I ENJOYED THE INTERVIEW. GAVIN IS AN AMAZING PERSON. 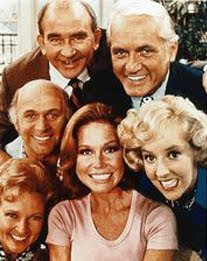 MY FAVORITE SHOW WAS “MARY TYLER MOORE”. I SELDOM MISSED AN EPISODE. HE (MURRAY) HAD THE NEATEST DIALOG. HE GAVE ME MANY LAUGHS. “McHALE’S NAVY” WAS A BLAST. AN OF COURSE “LOVE BOAT” WAS THE HOTTEST ON TV. This was just awesome! You are such a pro and witty and charming even in your writings!! Wonderful work, sweetie, and of course, I LOVE CAPTAIN STUBING!!! 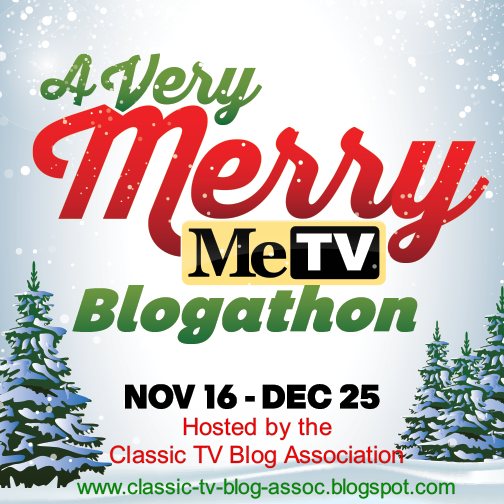 I never watched the MTM show -- though, I'm going to watch the recordings of it sometime soon! Thank you for sharing this touching piece and also for physically bring Gavin and Susan to my home! What a day that I shall never forget!! I cherish it!!! Love to you always -- I'm so proud to know you! We're Doing "The UFO Incident"! 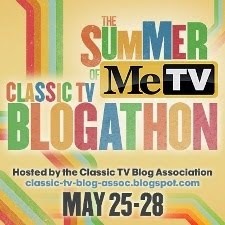 We're Doing "The Long, Long Trailer"
The Summer of Me TV Participant! The Flaming Nose TV Blog features many links to related articles and sites, some of which we call out with "click here" notices and others which are embedded within the text and indicated by a different color. Don't miss these opportunities for added information and deeper appreciation of our posts! 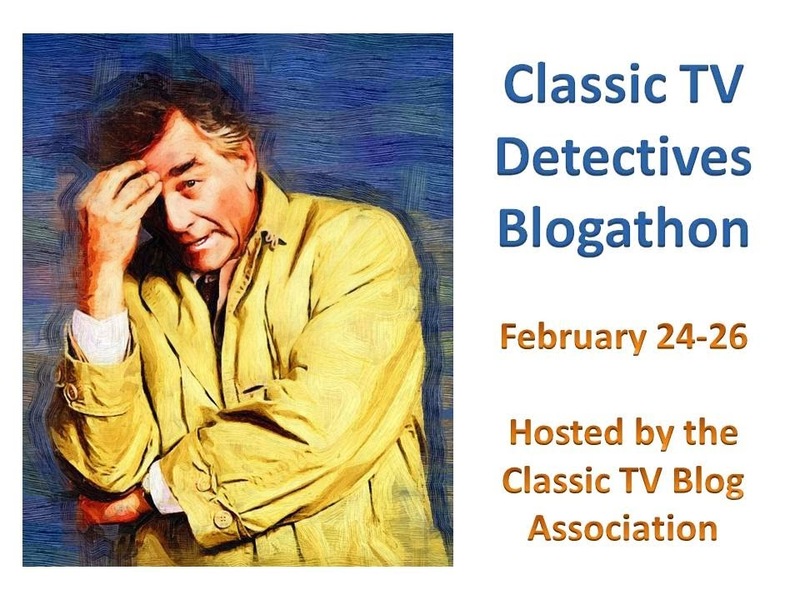 Classic TV Detectives This Week! The Return of "V" -- This Coming Tuesday on ABC! The Snazziest Soupy Sales Song Clip Ever! Are You Pythoning This Week? Thrilling Days of Yesteryear - the good old days! 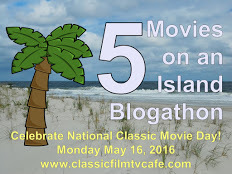 Poseidon's Underworld -- great TV & Movie appreciations! TrekCore -- Everything Star Trek! Television Tunes -- TV Theme Music! Chicago And Then Some - wonderful blog! My Star Trek Scrapbook - excellent site! Classic Horror Film Board - Great Forum! Star Trek Authority Gerald Gurian - Awesome site! Doug Quick On-Line -- Illinois TV! Lolcats - I Can Has Cheezburger? The bloggers on The Flaming Nose have watched and worked in TV for many years, and gather here to celebrate our favorite medium. We love TV and know that you do, too! Please leave comments here -- we'd love to know what you think! You can write to us here!